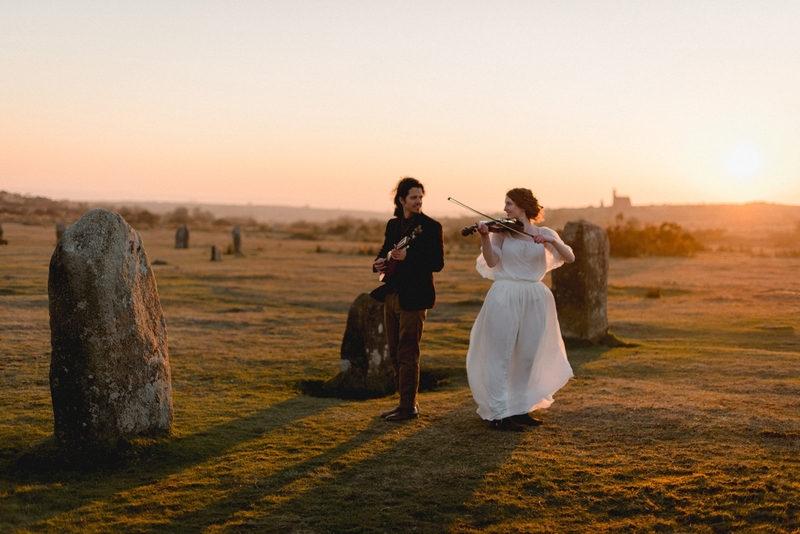 Late in autumn the afternoons close in, casting long and golden shadows upon the moors. 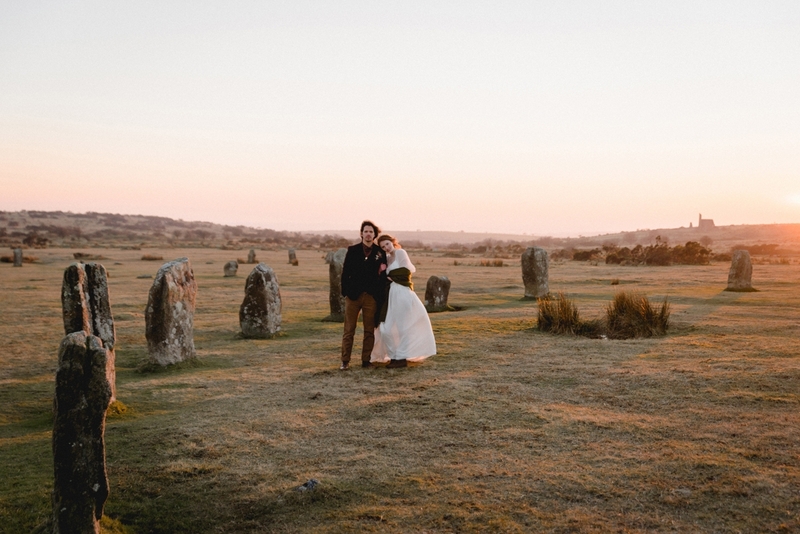 Brisk but not chilly, muted but not dark, it’s a time of changeover, so beautifully transient and reminiscent of Winston Graham’s ‘Poldark’ and Emily Brontë’s ‘Wuthering Heights’. 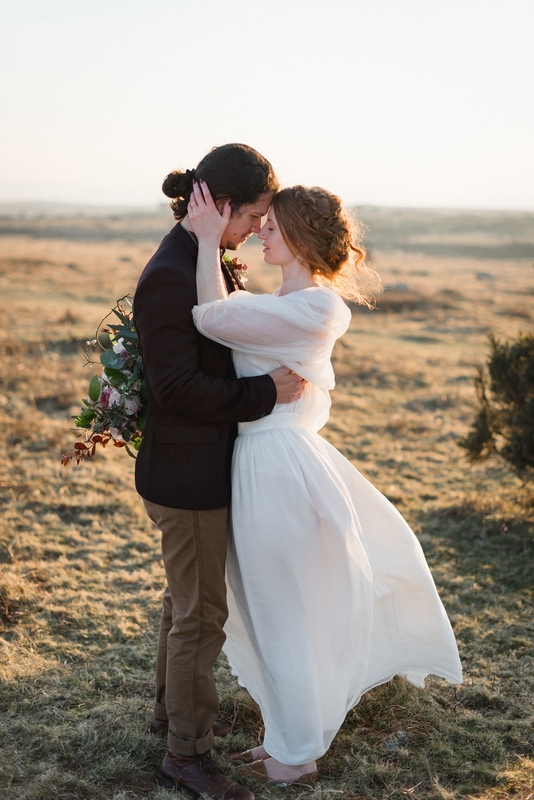 Long and distant heaths set the scene for romance in the rugged panoramas, set amongst weather-bent hawthorns and ancient stones. 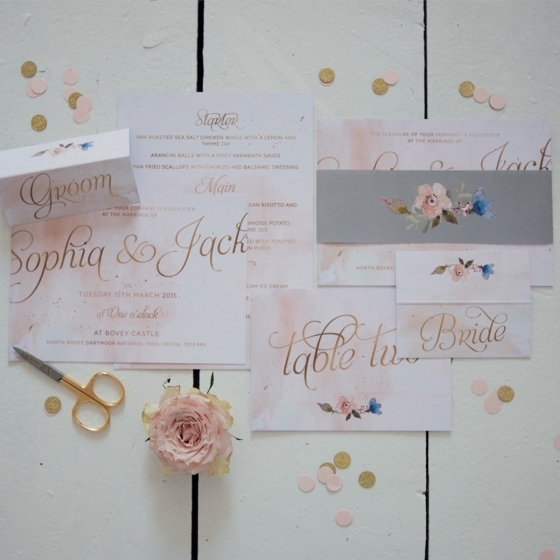 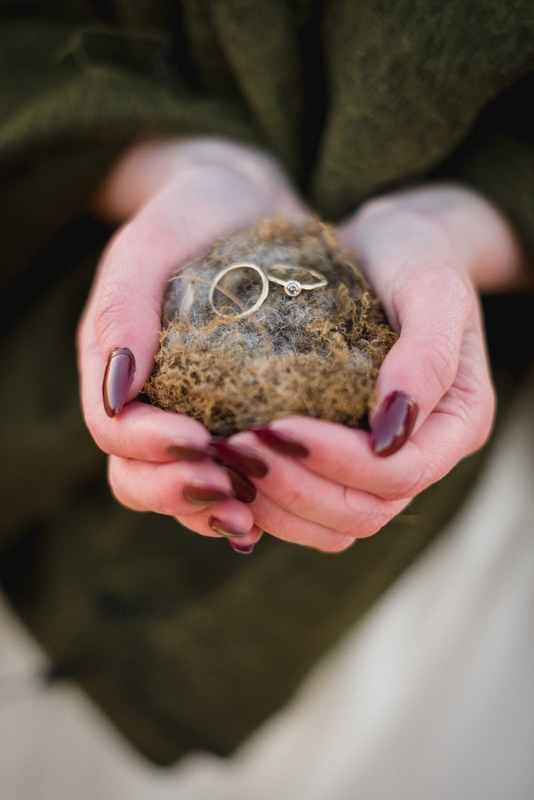 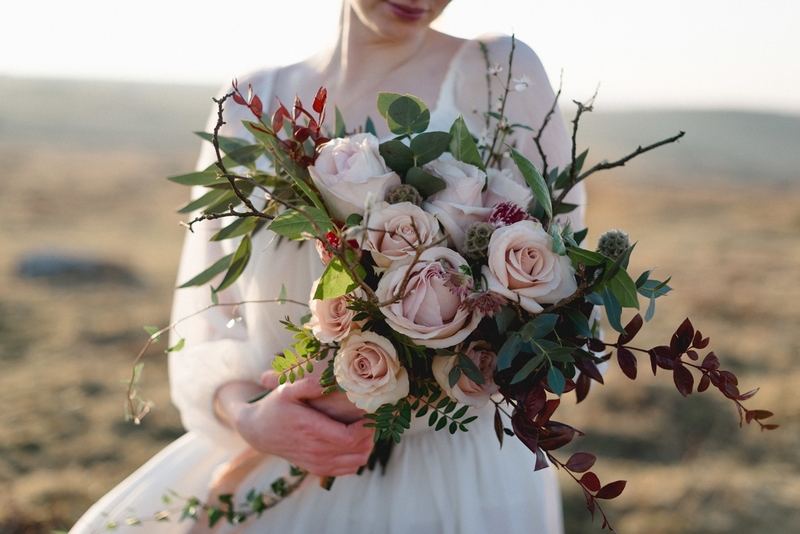 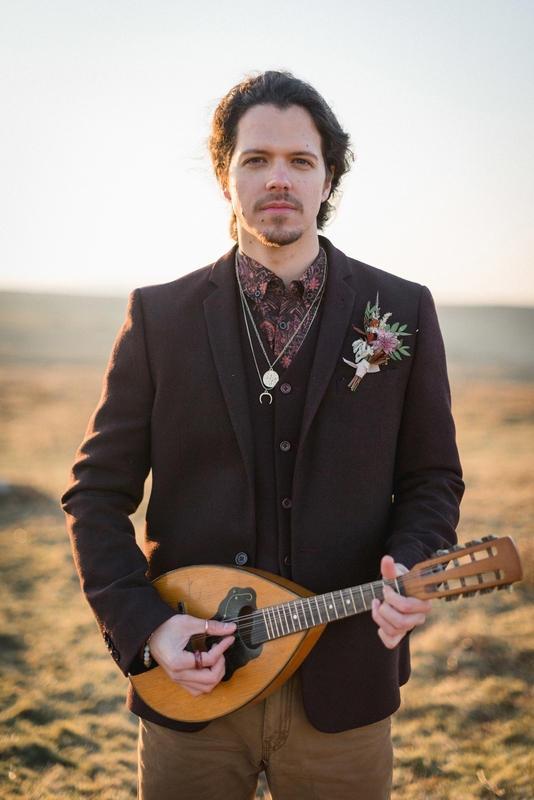 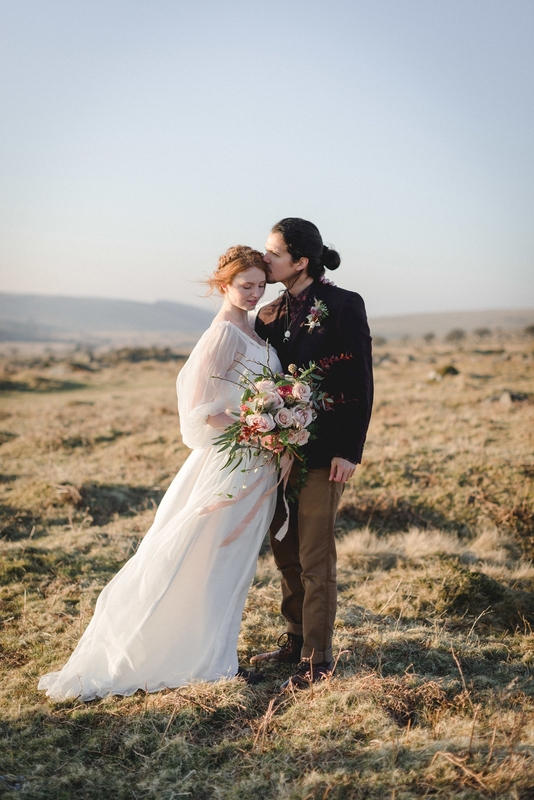 With a palette of earthy colours befitting the landscape, the rich haze of the sun lights up each element of this elopement story, from the glints of the contemporary golden jewellery to the feminine and dreamily abundant blooms. 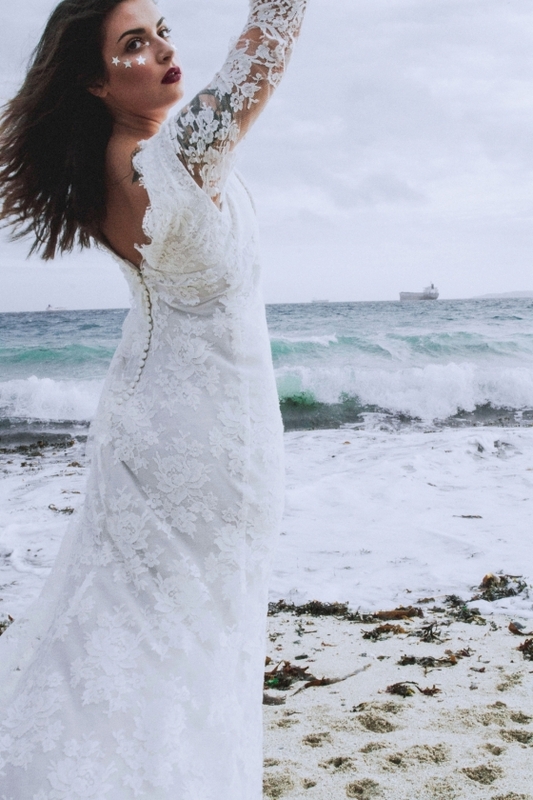 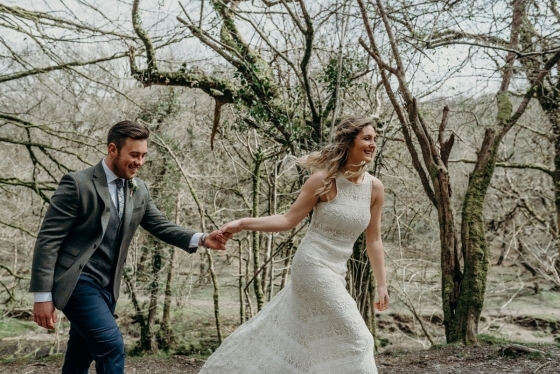 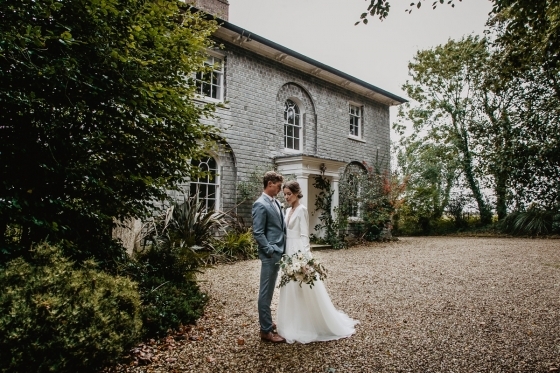 Handcrafted in Cornwall by Ailsa Munro, the bride’s billowing white gown floats effortlessly at the centre of the shoot, all elements surrounding and complementing its ethereal quality. 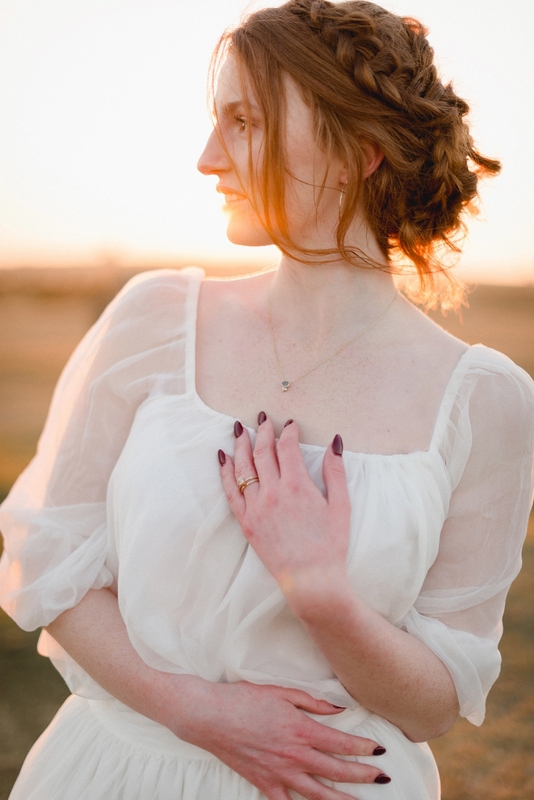 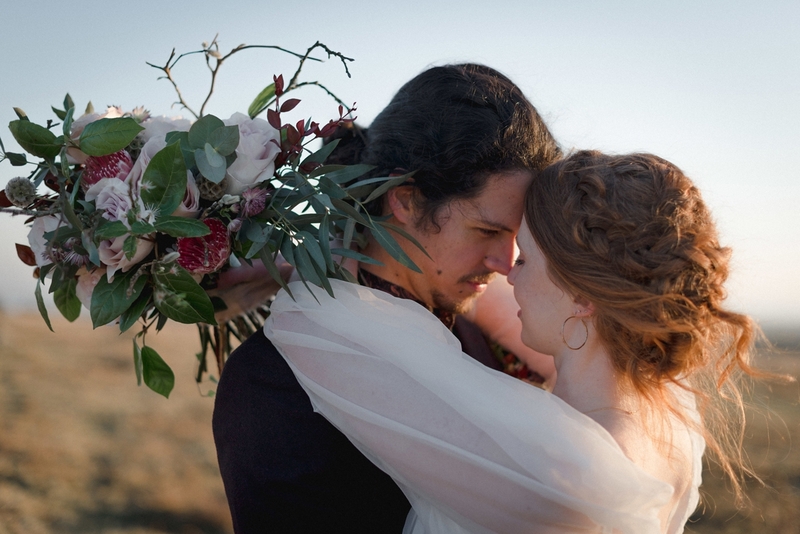 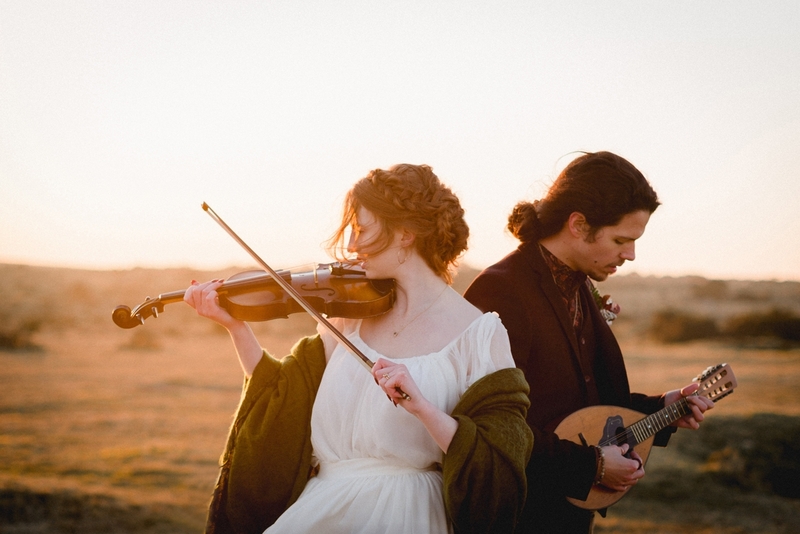 The bride’s auburn hair is woven into a beautifully intricate twist of fishtail and chunky braids, evoking the look of a wild and timeless spirit of the landscape; “a Cathy or Demelza in her own right that belonged wholeheartedly to the stories of the moors”, says Sarah. 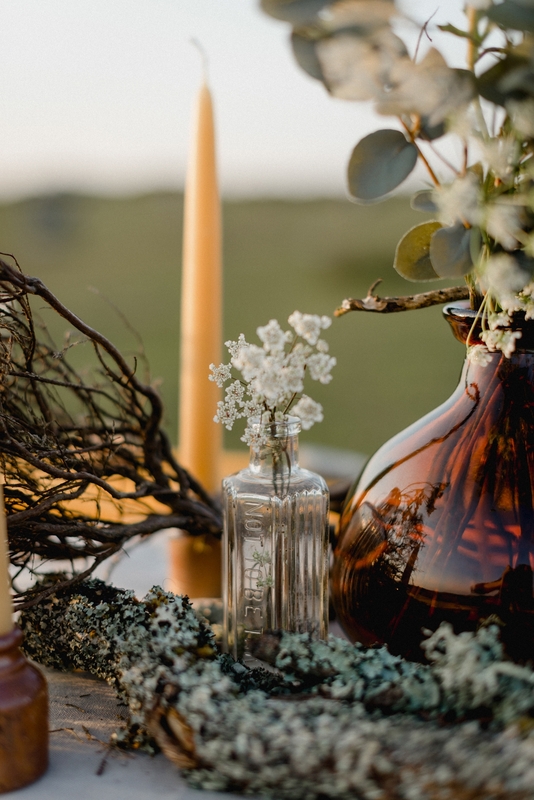 The sublime setting also inspired the table design for the intimate feast supper: a blend of mustard velvet tablecloths, linen runners, earthenware and beeswax candles. 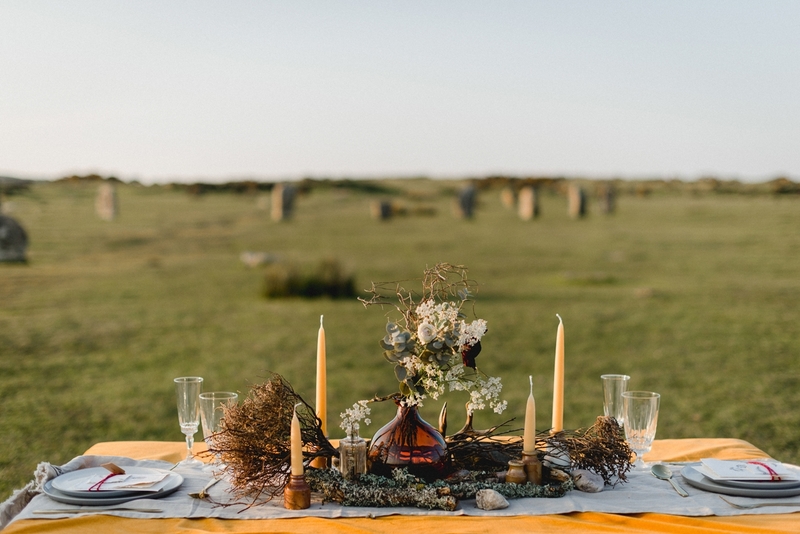 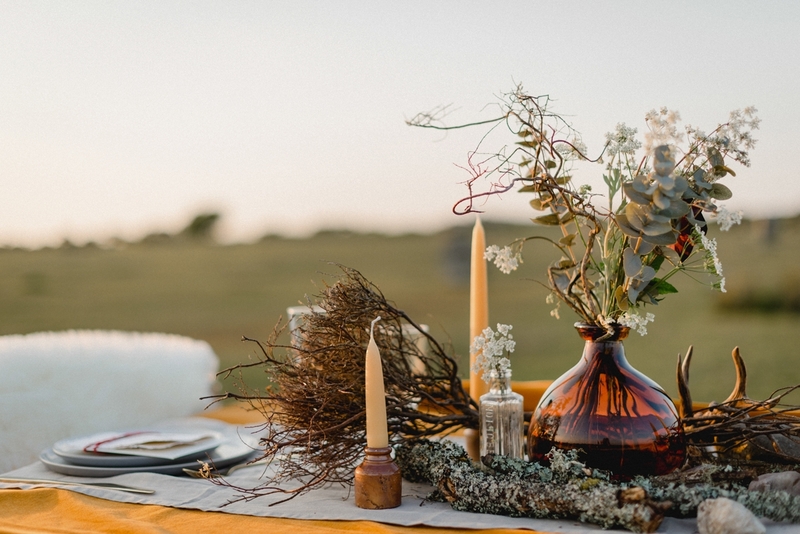 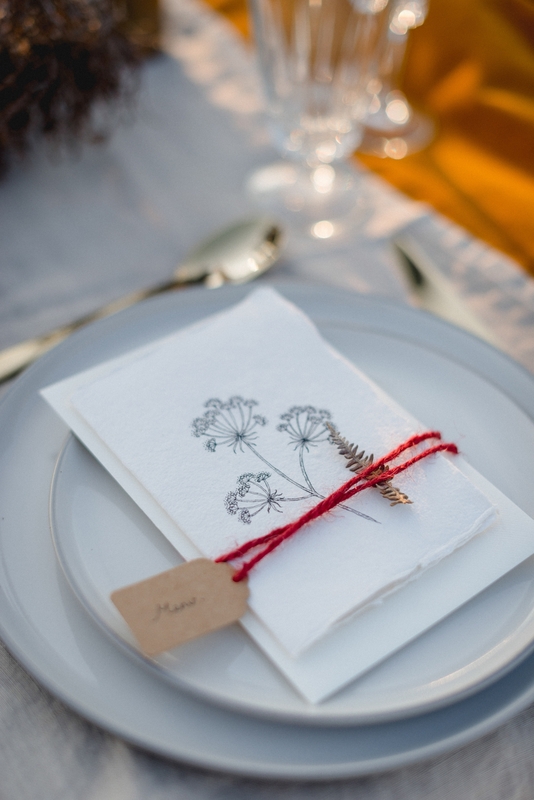 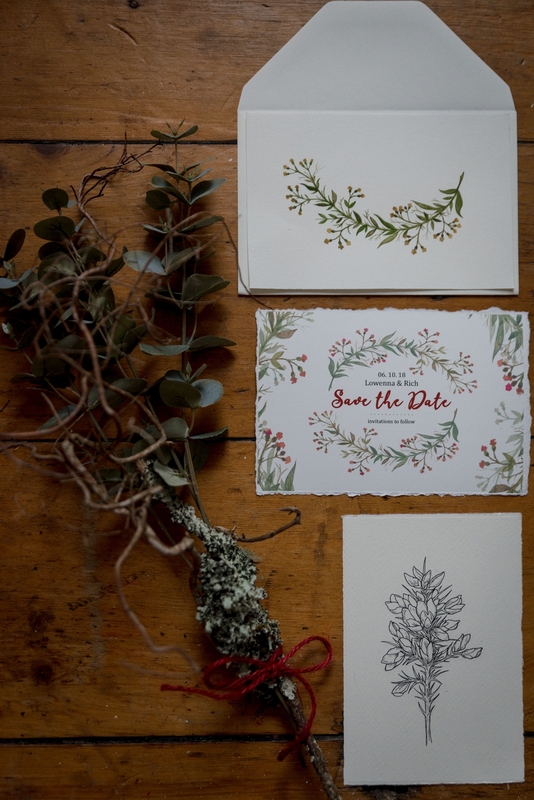 “There were also nods to the more gothic essence of the moors with the table being adorned with lichen covered twigs, moss, dried flowers and cow parsley plucked from the hedgerow,” explains Sarah. 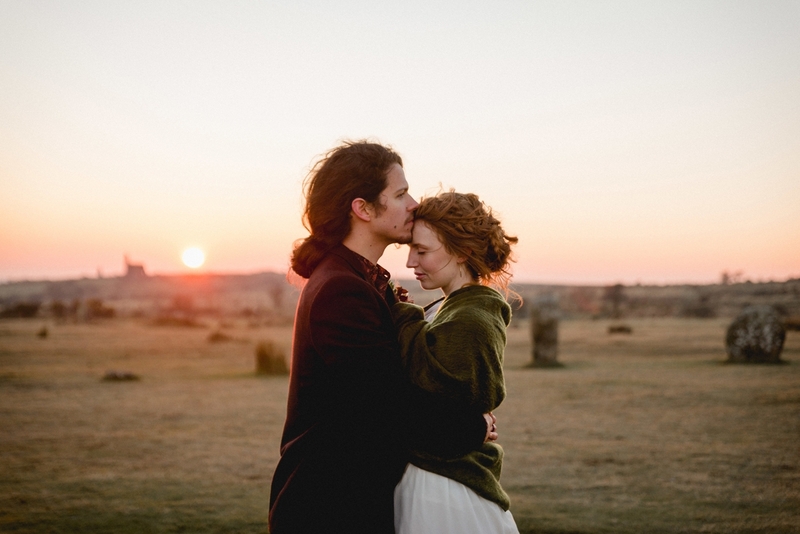 Softly culminating with a burning sunset alighting the age-old stones, the evening turns cool, the embers of the mild autumnal evening gently glowing until long after the moon rises above the barren moors.